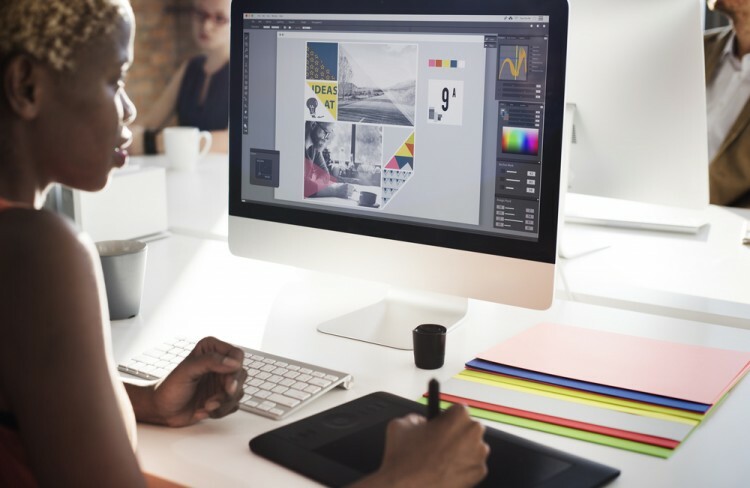 Finding a job is often difficult to do, which is why we’ve compiled this list of the best freelance websites for graphic designers. Freelancing is becoming more and more popular and essential. Young companies often seek freelancers to do certain jobs instead of hiring salaried employees to save money and accomplish smaller tasks. My only experience with freelancing is with writing, which is actually a really popular job option. I think it’s quite hard to be successful as a freelancer, especially in that arena because it doesn’t tend to pay very well. However, if you’re really good at what you do you can start charging a little more depending on the job. I also have friends who are graphic designers or web developers who freelance in addition to working full-time jobs to make a little extra cash and gain some experience for their portfolios. Finding freelance jobs can be challenging, but once you’ve found a great way to search for them it’s a little bit easier. It’s quite nice to be able to freelance because it’s the most fun kind of working from home. You can go straight from your bed to your work and you probably don’t even have to change out of your pajamas, which sounds like a really fun option to me. The challenging part is finding steady work for a steady income, especially if your goal is to work freelance full time, which is why we created this list. If you’re not a designer, but you want to dip your toes into the freelancing world, take a look at some of these freelance jobs from home with no investment. In order to create this list of best freelance websites for graphic designers, we took some great suggestions from Quora. These freelance websites are well known and are great resources for graphic designers to find a way to apply their skills. You can easily sign up and get started on your first project. It’s a great start if you’re new to design, too because it’s an easy way to start building your portfolio if you eventually want to enter a full-time, salaried position. Keep in mind that these are just suggestions and not necessarily in a particular order! Without further ado, let’s take a look at the best freelance websites for graphic designers. 5 Best Freelance Websites For Graphic Designers 7 Freelance Jobs From Home Without Investment 99designs freelance website Are graphic design jobs stressful? best freelance websites for beginners Fiverr freelance website How does freelance web design work? How to use freelance website? List XFinance PeoplePerHour freelance website Slideshow top 10 freelance websites toptal freelance Toptal freelance website Upwork freelance website What every graphic designer needs? What is graphic design? When did graphic design become a profession? When to hire a graphic designer? Which freelance website is best? Why become graphic designer? Why graphic design is a great career? Why hire a graphic designer?